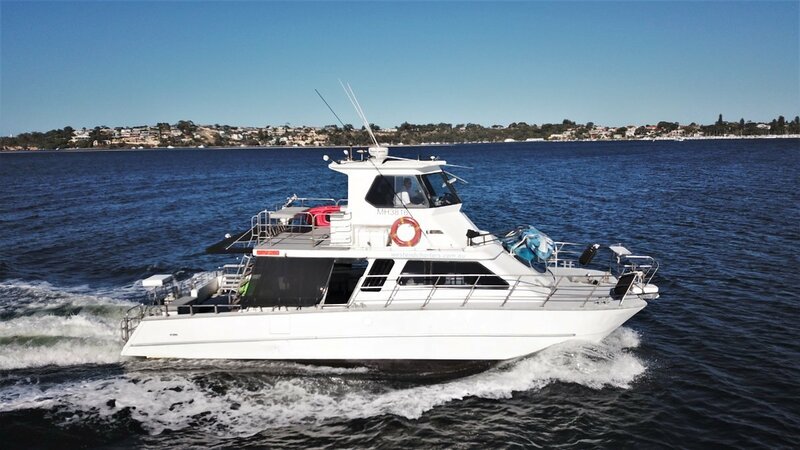 West End II is a well known and successful charter cat operating on the Swan River in Perth. The vessel was launched in 1992, designed by Mark Ellis and built by Sea Spray. In current AMSA 1B & 1D survey with good passenger numbers, the cat will be a fine addition to any existing charter operator's fleet. Alternatively step into the charter boat business as a new operator with confidence that your vessel has benefited from major refurbishments in 2016, a new Cummins genset in 2018 and an engine repower in 2008. Demand is strong in Perth for quality charter vessels and operators, so why not start your own business and live the dream lifestyle of cruising the waterways! The twin Volvo D-6 turbo diesels are meticulously maintained with approx 3300 hours showing. West End II will sprint to a capable 23 knots and cruise at 17 comfortably. A new Cummins 7kva genset was installed in 2018. Two new Raymarine Hybridtouch plotters have been installed recently. Vessel survey report conducted in January 2019 available upon request to genuine buyers. For further information, please contact Tom or Matt Lovelady at Oceaneer Marine Brokers on (08) 9243 6373 or email sales@oceaneermarine. Com. Au.